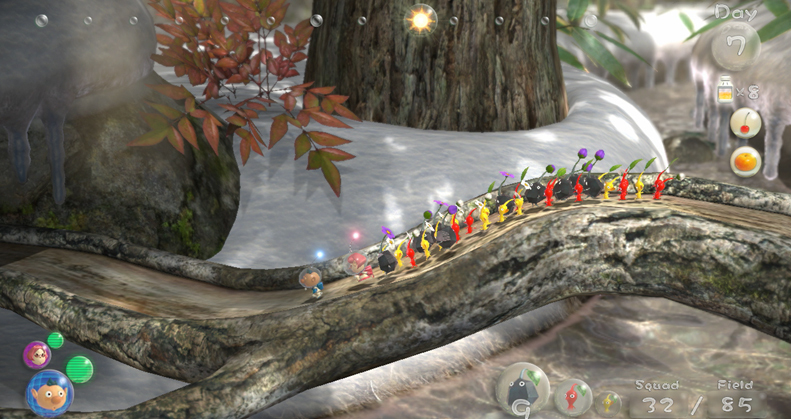 Pikmin 3 is a galactic epic worthy of the highest space opera, but it takes place at the scale of pencil erasers. 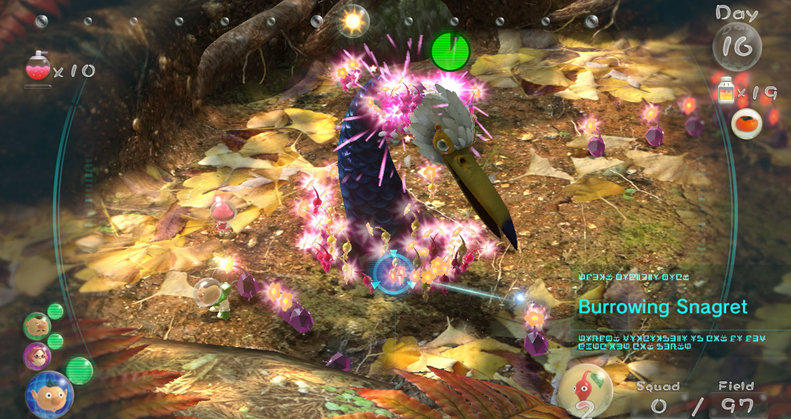 In Pikmin 3 you take on the role of three tiny explorers tasked with finding a food supply on a faraway world. 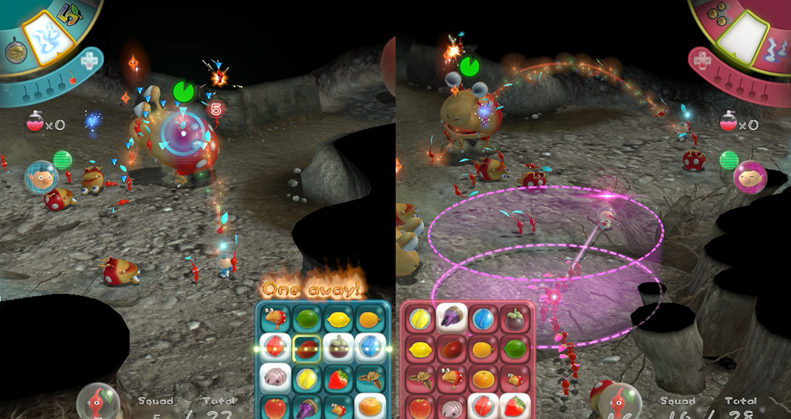 When you crash-land on the planet of the Pikmin, you use the help of the little plant-men to gather the giant fruits of their world, along with the missing crew and bits of your ship. It's pretty much the stock plot of the first two games, which comes up in-story, but nobody's here for the gripping original character drama. You're here for the cute plant things. And the sending of those cute plant things to their horrible little deaths. 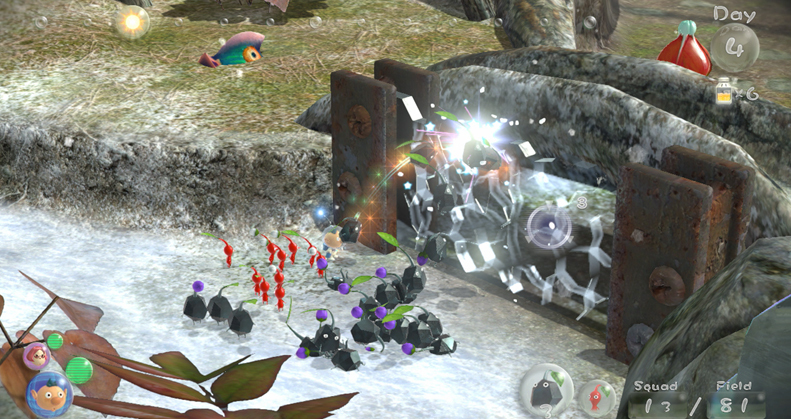 The game plays out in days, each about twenty minutes long, where you must gather fruit for your crew, produce more Pikmin, and solve puzzles to advance the story. All at the same time. It's a wonderful kind of multitasking play. It lends itself to bite-size chunks of play and never really feels like it's on a time limit, though technically it is. Previous games in the series had a real limit, and made you worry about the clock, but Pikmin 3 is far less concerned with the grand scope of a looming deadline - because your only limit is how much fruit you can gather to convert into juice. The story is easily long enough, clocking in at about thirteen hours with an extensive playthrough by a skilled player, maybe 17 for someone who takes their time. 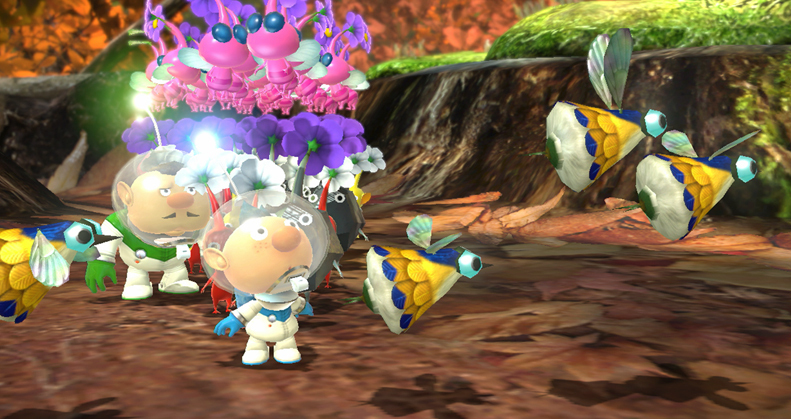 Other than a far less restrictive game clock, very little has changed since Pikmin 2. It's been nine years, but the gameplay is still incredibly fun and approachable. The controls are what make the game: they're easy to use and accessible, allowing you to get right to the interesting strategy and tactics. While older Pikmin games could occasionally be frustrating due to the lack of precision on the controllers, that won't happen here at all. And since there are three control schemes, GamePad, Wiimote, and Pro Controller, you'll figure out a way to play that works for you. Off screen play on the GamePad is present, as well, and is very functional. You lose a bit of the precision you have with the Wiimote, but playing snuggled up in another room is its own reward. The new Pikmin, Rock and Flying, add enough interesting strategy that they don't feel like unnecessary or strange additions. 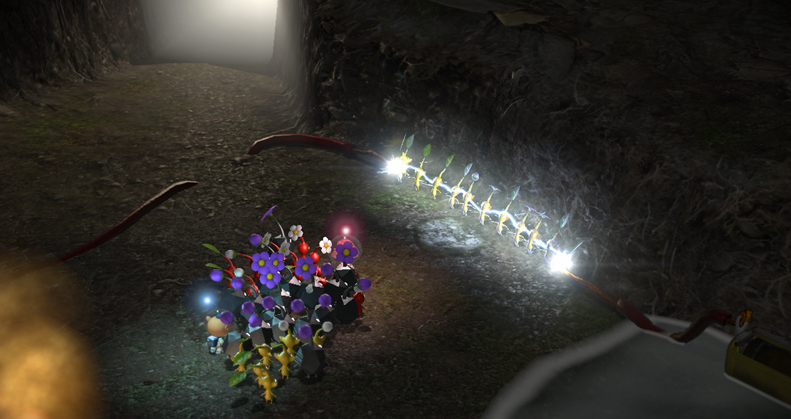 Rock Pikmin do extra damage when you throw them - you can now literally stone some monsters to death - but can't grasp things very well with their stubby arms. 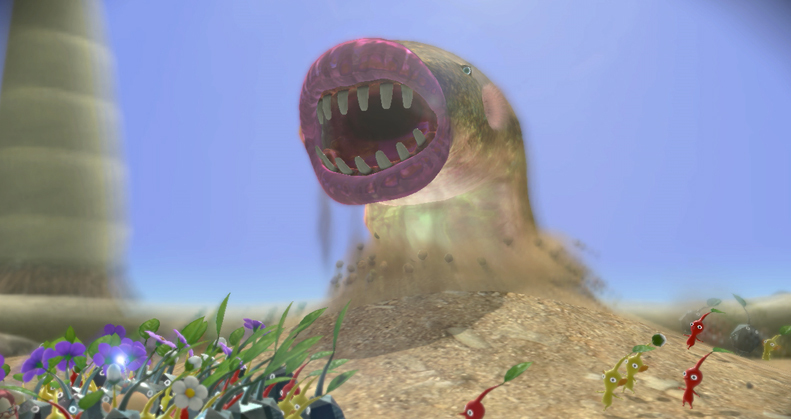 Flying Pikmin are like gnats, and can't damage much, but can easily carry fruit or parts home to the ship over obstacles that other Pikmin can't traverse. It's a good sign that neither of the new guys felt gimmicky, like Pikmin 2's white and purple Pikmin did, so you consistently bring them along for their utility.